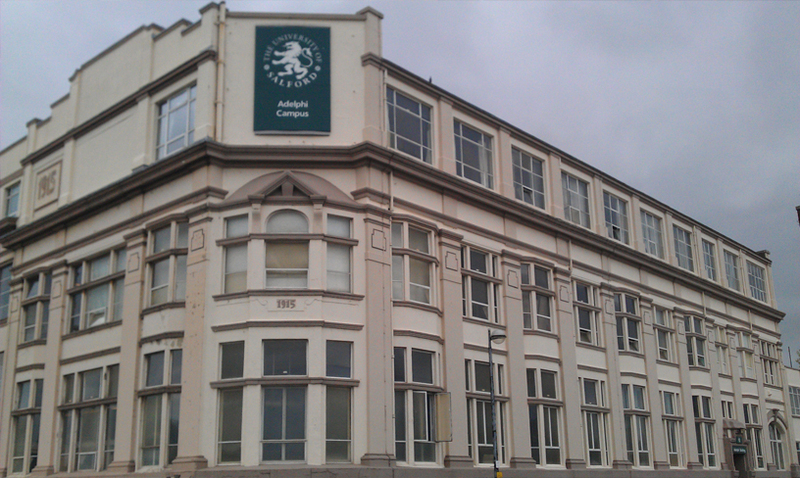 Over eight thirteen years of studying at the University of Salford, I got to spend almost as much time in the Adelphi Building as I did in my own home. The facility makes no secret of its age, and whilst that leaves the occupants wishing for some modernisations, it also provides heaps of character, and a temperament missing from many new builds. 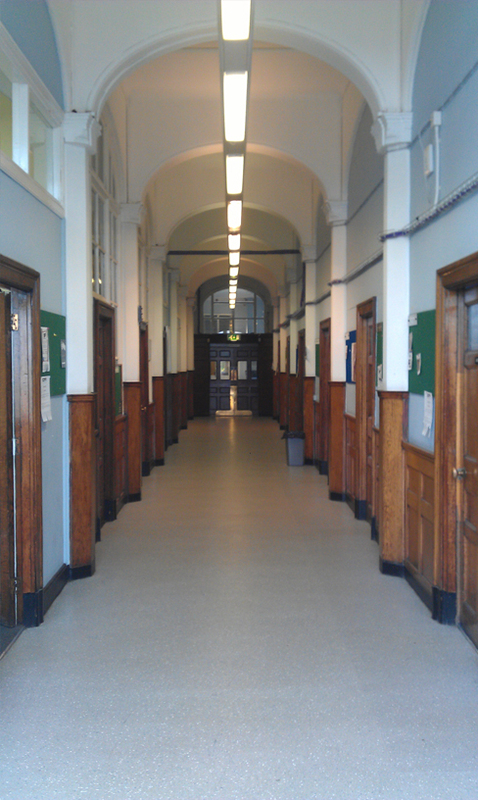 One of the most striking features of the Adelphi Building is the timber cladded corridor next to the main entrance, with the high ceiling and pleasantly reflective surfaces providing a warm and highly reverberant acoustic environment. 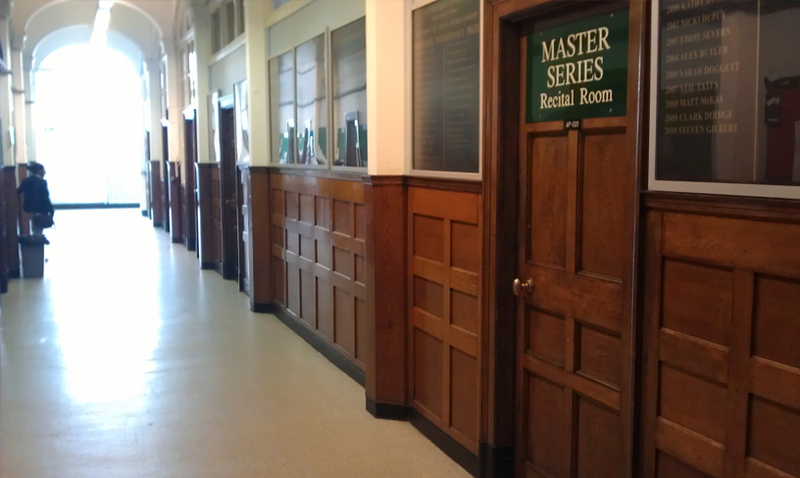 Adding to this wonderful characteristic, the “wooden” corridor houses drop-in practice rooms, which are being used at most times throughout the day. Simply calling the wooden corridor “a passage connecting parts of a building” would be falling terribly short of the effect it has had on me over the years. It has served as a welcoming band on rainy days, a place to contemplate and plagiarise fleeting musemes, and a transitional spaces where a mood change, for better or worse, can be invoked in the time it take to walk through it. “Epektasis” was conceived as a study in exploring and exploiting the sonic qualities of this space. The frequency response and reflection time of each space adjacent to the corridor was determined with an acoustic study, with the particular frequencies responding stronger to the test tone becoming the basis for the composition. For the installation, a speaker was placed in all studied areas, and assigned to a set of frequencies designed to respond and excite the resonant surfaces in each space. The frequencies consist of sine waves, categorised in static, ascending, and descending frequencies. The result is an environment of ever increasing amplitude, approaching white noise at its volume peak. A sense of movement is also present by panning the frequencies between the speakers, and even including the doppler effect that “travelling” sine wave would feature were it actually moving within the space. Whilst the actual sonic elements of the composition are rather bland and conservative, it is the space’s manipulation that transforms a mere sound emission into a stunning performance.